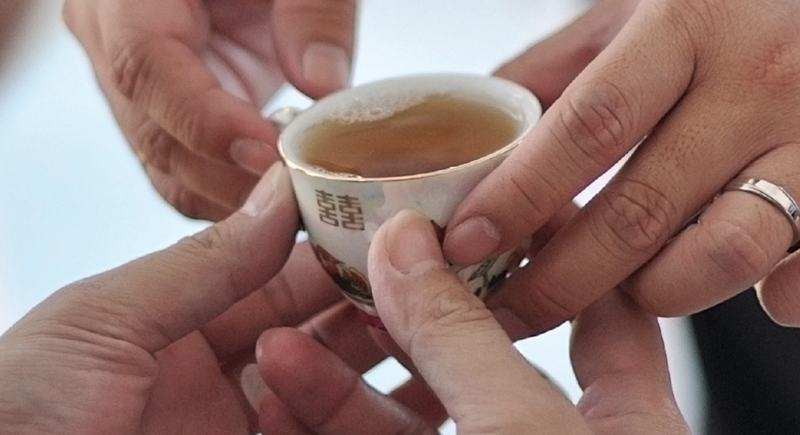 Wonderful discussion on the culture and rituals related to drinking tea. Thanks to The Daily Tea! Cheers!! Walk into a friend’s home and you will likely be offered a beverage. The ritual seems universal. If you confess that you’re not feeling well, chances are that beverage will be a cup of tea. We all find tea physically soothing and emotionally comforting; perhaps that’s where the association of health and ritual began. Our mothers and grandmothers certainly weren’t privy to scientific research confirming the health benefits of tea, but through folklore had discovered its healing qualities. 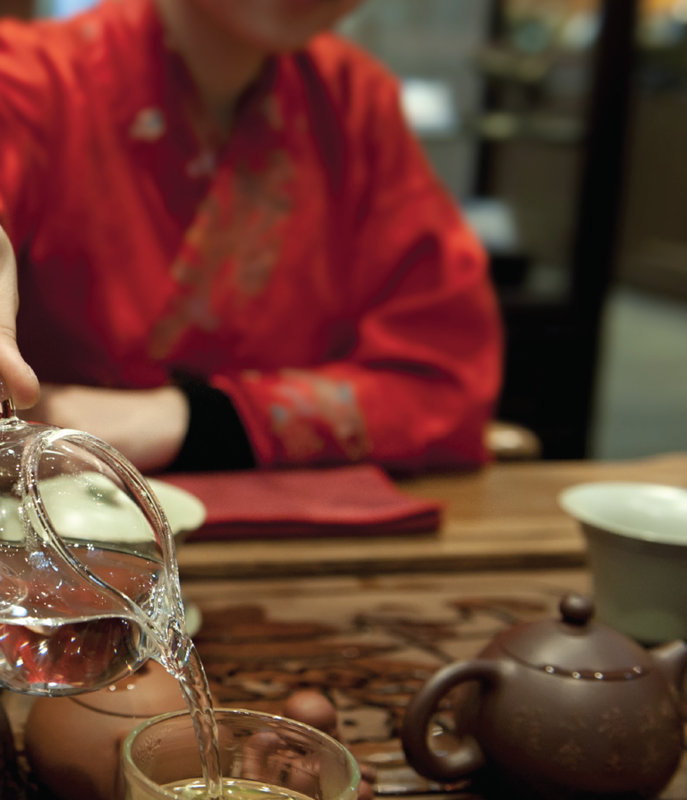 Science has not fully explained why the ancient ritual of tea is a calming influence. Public concerns about health, obesity and stress do not fully account for tea’s new-found popularity. I believe tea has a broader and deeper meaning to many of us. In a world that appears to be spinning out of control, most of us are searching for ways to reduce stress and bring peace and comfort back into our lives. We might not be able to improve the fiscal problems that are wreaking havoc around the world, or reduce the rate of global warming, but we can embrace a practice that holds a promise of comfort, health and inspiration. “This basic infusion of water and leaves connect the drinker from the moment to the artisan farmer thousands of miles away. And to the sun, soil, rain and wind that helped grow those very leaves. This simple experience allows the drinker to pause for just a moment, and to listen to their heartbeat. To perceive their surroundings and their life and to savor it all,” says Jacobs. Civilizations over millennia have used tea to treat illness in the body, mind and spirit. Science is slowly catching up to the intuitive wisdom of healers around the world and actively investigating the profound health benefits of medicinal plants and herbs. It’s not uncommon to pick up a magazine weekly and read about a recent scientific finding confirming the remarkable properties of a given botanical. The beloved Camellia sinensis is the current media darling, demonstrating great promise in protecting us from disease and improving our health. This is where the ritual of tea plays such an important role in promoting good health. Tea’s rich history, inspiring countless legends and rituals reinforce the idea it must be taken frequently, socially or alone. Without realizing it, we participate in rituals every day. Some are related to our faith. Christian rituals at Easter, Christmas and Ash Wednesday are good examples while Jewish traditions are observed on the Sabbath, Passover and the ceremonial Bris. Muslims prostrate themselves in daily prayer and gather for Ramadan and Hajj, further demonstrating the varied faiths and how they incorporate meaningful rituals and spirituality in their religious observations. Other rituals we celebrate are cultural. American families traditionally gather around the Thanksgiving table. In July lawn chairs are the norm as we enjoy a BBQ with family and friends before watching the fireworks display. The Mexican’s Dia de los Muertos (Day of the Dead) pays tribute to those who have passed by welcoming the spirits of their loved ones, encouraging them to return for a brief visit. Canadians observe Remembrance Day, or Poppy Day to honor those in the armed forces who died in service to their country. Many nationalities participate in celebrations welcoming the New Year. These rituals, many of which involve food and drink, are essentially habits. We don’t always stop to ponder what they mean or how to do them, they are simply part of our consciousness. Scientists are fascinated by the study of habits because of the power they have to influence and control behavior. On the one hand, we are conscious of our purposeful actions, like making a cup of tea, while at the same time, we unconsciously engage in other activities. Through repetition we allow our mind to be involved in other activities while the body is on auto-pilot, effortlessly engaged in the habitual behavior. There are many ways to establish a personal tea ritual. An important consideration is establishing a specific routine that you can easily follow. There are no right or wrong tea rituals as long as it’s something that speaks to you, enveloping you in a state of relaxation and balance. I’ve come to look forward to the tranquility as well as the creativity it sparks in me. By establishing a daily tea ritual, we can enlist the meditative properties that have the potential to produce powerful effects on our mind, body and spirit. How does a tea ritual accomplish this? We are all familiar with stress and how it impacts us emotionally, causing us to feel anxious, overwhelmed and exhausted. Even more damaging is how it affects us physically, as it wreaks havoc on our health. Research confirms that even brief periods of relaxation can reduce cortisol levels, lower heart rates and make us feel less anxious and stressed. The results of a double blind study(2) in which half of the subjects incorporated tea into their lives for six weeks, found that those drinking tea had significantly lower cortisol levels and a greater sense of relaxation. A personal tea ritual encourages these beneficial periods of calm in your day. Barbara H. Fiese, Ph.D. Professor, Human Development and Family Studies at the University of Illinois, Urbana, reviewed 50 years of research on family rituals(3) to identify the important dynamics of family rituals and why they have a positive impact on the family system as well as its members. A family ritual can provide an important sense of togetherness which strengthens family bonds, enhances our sense of belonging, and when our opinions and feelings are validated through the open exchange of our ideas, it enhances our self esteem. For adolescents, this is especially important as those years can be a time of social upheaval and insecurity, says Fiese. Growing up, we develop our sense of self, in part, by the way we are seen by others. For children, our families contribute strongly to this powerful influence. If our parents and siblings value us and believe that we’re smart, funny, creative, lovable or talented, then we begin to see ourselves through that lens. There’s also evidence to suggest that there is an increase in marital satisfaction when family rituals are observed. This makes intuitive sense to me because when a family functions well together, there is less stress within the household and marital harmony is easier to achieve. 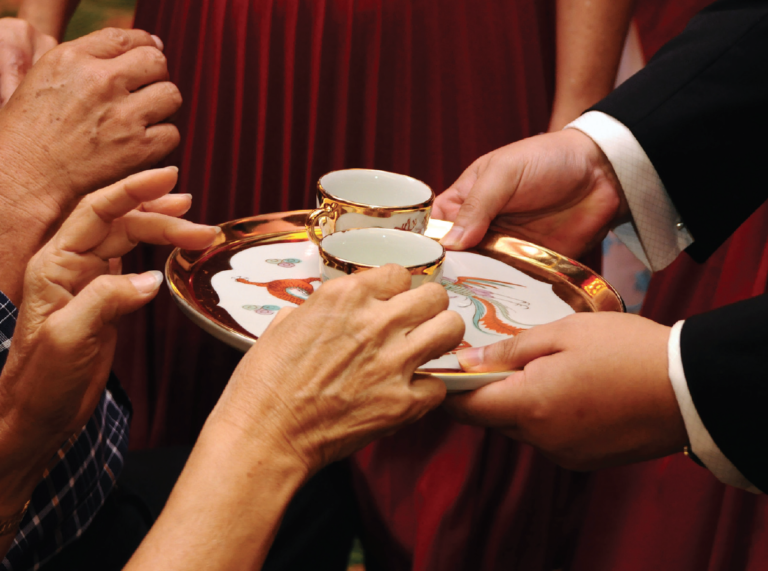 A family tea ritual provides the opportunity to connect and share our thoughts and feelings. When a family dinner is no longer possible, as careers extend into the dinner hour and extra-curricular activities absorb our children’s time, imagine an evening ritual of 20-30 minutes where everyone in the family gathers to share a pot of tea and reconnect. Establishing a tea ritual for our children provides tools they’ll need to help manage stress more effectively throughout their lives. Perhaps a special family tea pot, handed down from grandma, could be the star of the tea ritual. I’d love to see kids prepare whole leaf tea in a whimsical Yixing tea pot and serve every family member in tiny Asian tea cups, creating a new tradition to be treasured. Topics for conversation can be varied, providing a stimulating exchange for the group; sharing the highlights of the day, a funny story about friends, family history, exchanging feelings about something that’s going on in the news, or planning a family vacation are all potential topics of discussion. Through these rituals a generation of tea lovers will be raised who associate this healthy beverage with intimate family experiences. By encouraging tea drinking we would also be cutting down on consumption of the high sugar content beverages that have led to the alarming incidence of obesity and Type 2 diabetes and threaten youth in unprecedented numbers. I welcome you to create and share your tea rituals; as an individual, for you and your partner and for your family. 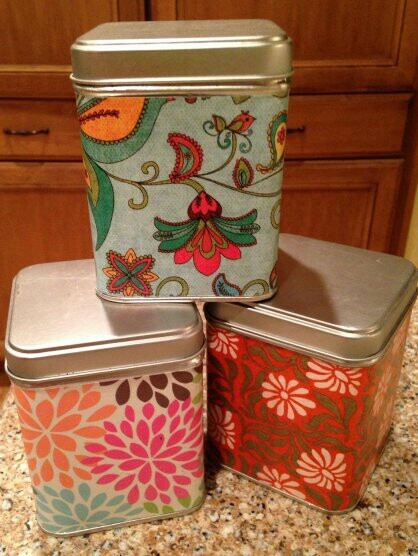 More washi-type tins. These are Jenny’s, such cute paper! Mother’s day is coming and a personalized tin with some special tea would make a perfect gift. Come learn this Japanese-style process with us at Lotion Bar Cafe Studio. Space is limited. Cheers! 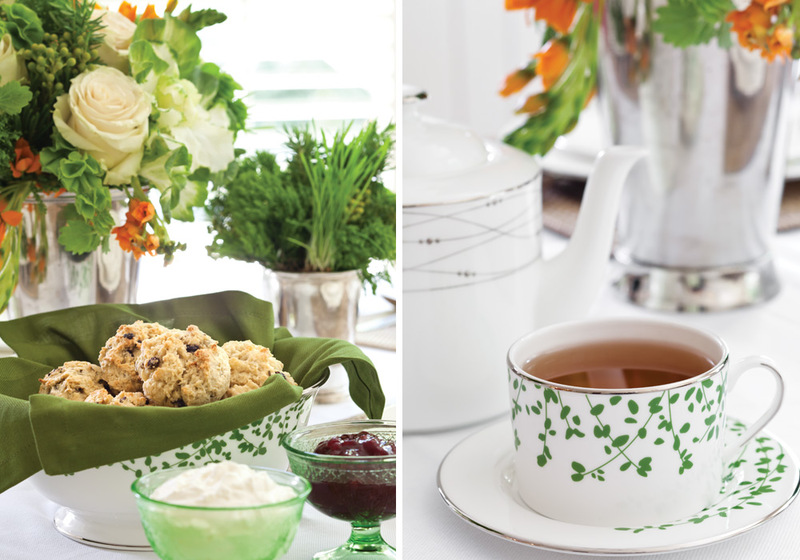 Create a special gift for a tea lover in your life. 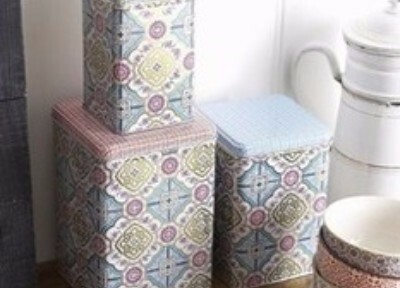 We will be transforming ordinary tins into beautiful containers using Japanese washi paper. Enjoy a fun afternoon of sipping tea and crafting unique tins for storing loose-leaf tea (or anything, really!). 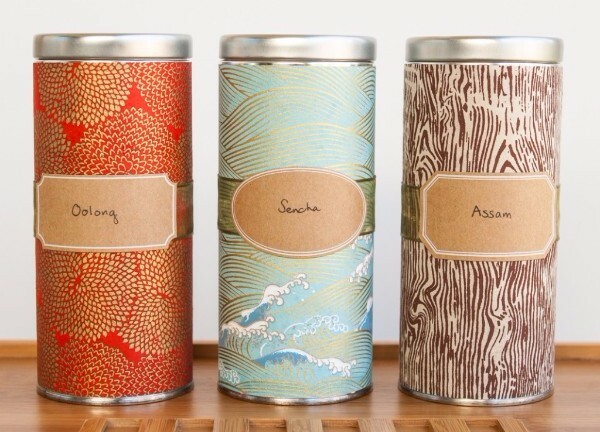 You will take home two washi tins and your choice of two sample packages of our dessert teas. 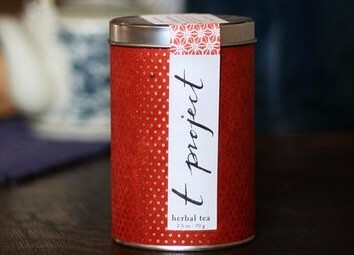 We will also have other teas available for purchase at special pricing. Minimum of 10 participants for class to be held. Happy St. Patrick’s Day! What are you sipping (other than green beer)? I prefer black teas but trying a white tea named “White Chocolate Laced with Mint” from the East Indies Tea Company. 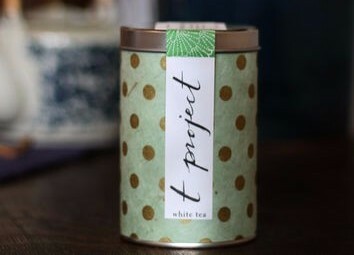 It’s very refreshing, light, and quite flavorful for a white tea. Using a levered 3-tablespoon scoop, drop dough onto prepared baking sheet. Bake until edges are light golden brown and a wooden pick inserted in centers comes out clean, approximately 15 minutes. Serve with lingonberry jam and clotted cream, if desired. *Lingonberries are related to cranberries. Lingonberry jam can be found at specialty-foods stores and online. Substitute a favorite jam, if desired. Thank you for sharing this NorthernTeaist. I may have to pick one up next time I visit Ikea. 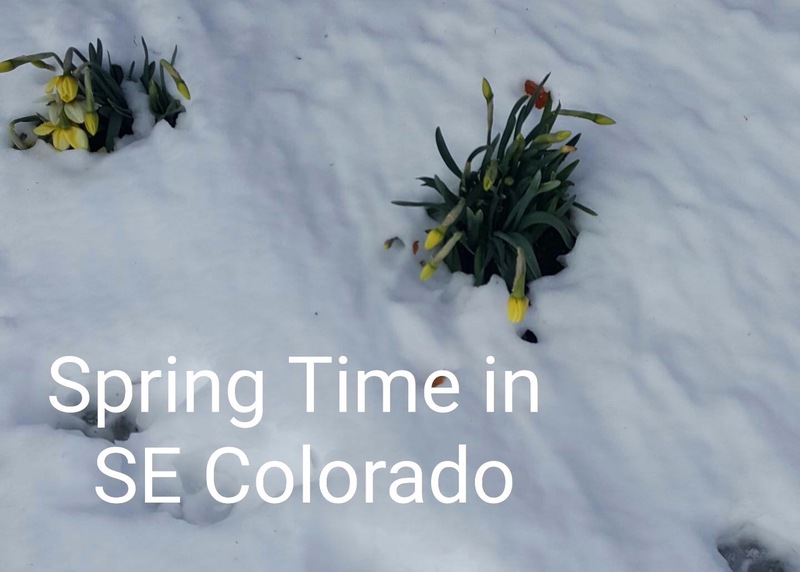 Cheers from Colorado, USA! We were at Ikea the other weekend, and I happened to notice that the blue and yellow gargantuan now labels their “Upphetta” cafetières as both a coffee and a tea press.